Today marks the 800th anniversary of the creation of Magna Carta - a document that has formed the foundation of democracy across Western civilisation. As part of the anniversary celebrations, the Prime Minister, Tony Abbott, together with Bronwyn Bishop, Bill Shorten, Royal Australian Mint CEO Ross MacDiarmid and other dignitaries, are marking the occasion with a special event at Parliament House. In his speech about the famous document, Tony Abbott described Magna Carta as "the most important constitutional document of all time" and a "foundation of liberty". A charter of the original Magna Carta was created in 1297 by King Edward I. It is this charter which now sits in Parliament House in Canberra, after being aquired in 1952 by then Prime Minister Sir Robert Menzies. As a symbol of the importance of Magna Carta to the lives of every Australian, today's celebration also includes the giving of the special rectangular-shaped coin - issued to mark the Magna Carta anniversary - to students of Boggabri Public School in NSW. The coin was struck by the Royal Australian Mint and is the first rectangular coin the mint has issued in it's 50 years of operation. To further enhance and emphasise the theme of the anniversary being marked, the coin has been treated with a special antiquing process to give it a unique and eye-catching look, vastly different from almost every other commemorative coin issued through the RAM. Visit our website where you can learn more about the 2015 $5 Magna Carta Antiqued Silver Coin and order it today! In it's 50th year the Royal Australian Mint will be making available around 1,100 unique production pieces in the next Downies Australian Coin Auctions, to be held at the Box Hill Town Hall in Melbourne's eastern suburbs from May 26-28. The announcement of the RAM's participation in ACA sale 319 was posted on their Press Release Page yesterday afternoon and you can read the whole release here. 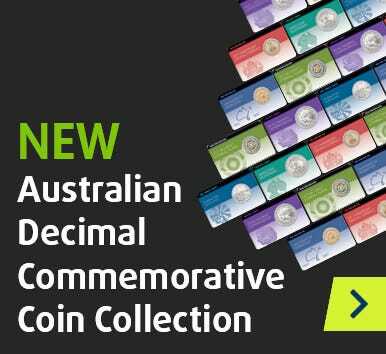 The list of items on offer as part of the Royal Australian Mint Master Collection - consigned exclusively to Downies Australian Coin Auctions - will be presented in an official catalogue, which will be made available to the public at the end of April. The list will also be published on the ACA website just prior to the printed catalogues being made available. With around 1,100 items being included by the Royal Australian Mint alone, on top of the several thousand coins, banknotes and collectables submitted by the general public, sale 319 is shaping up to be our biggest auction yet!